Jesus knows us! Through the Holy Spirit Jesus is intimate with us! I am not sure about you but there are times when the idea that Jesus knows me makes me really feel uncomfortable. Jesus not has knowledge of what we do because he knows us intimately he knows why we do what we do. And because Jesus knows the why of what I do and because he represents me to God there are other times when I am glad he knows me. Everyone does what they do for a reason and the reason we do things is important. I remember reading a true story about Mayor of New York City La Guardia before coming Mayor when he was a Night Court Judge a man was brought before him for stealing food for his family. According to the law the man was guilty so La Guardia fined the man knowing he couldn’t pay the fine but then turned around and fined every person is the courtroom because the man had to steal food for his family. In way the scene played out in Judge La Guardia’s courtroom was played out long ago on a cross on a hill just outside of Jerusalem. 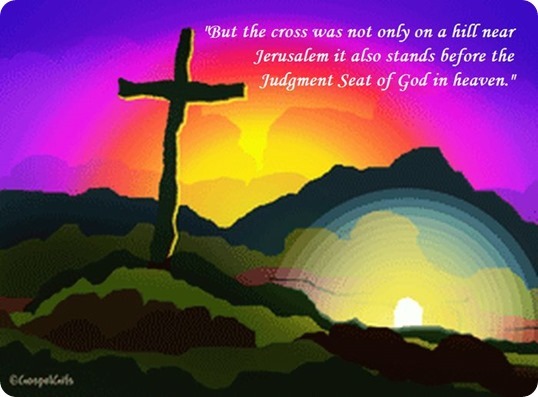 But the cross was not only on a hill near Jerusalem it also stands before the Judgment Seat of God in heaven. And while there can be no doubt that each one of us is guilty of not living our lives perfectly we would die on the cross ourselves but since Jesus knows each one of us intimately he knows the why of our lives so he is able to take our place on the cross and die for us. Jesus KNOWS you! Celebrate Jesus! Celebrate you! Celebrate life!